Proof Strategies encourage students to plan what is needed to present a proof of the result in question. Proof Analysis segments appear after presentations of proofs and discuss key details considered for the creation of each proof. Chapter 0, Communicating Mathematics provides a valuable reference for students as the course progresses. 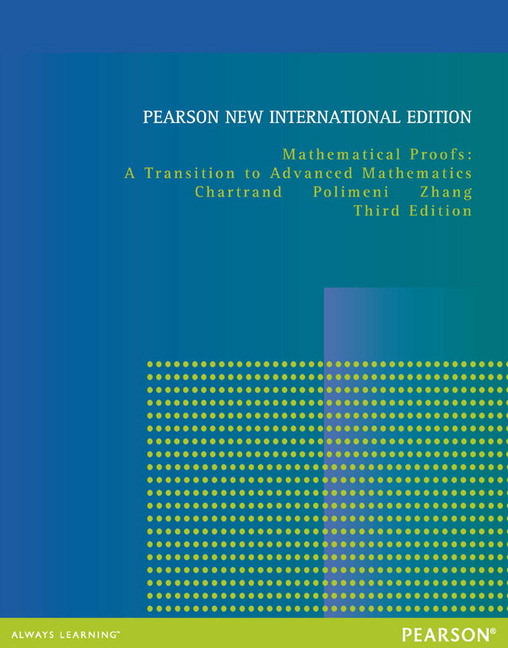 This chapter prepares students to write effective and clear exposition by emphasizing the correct usage of mathematical symbols, mathematical expressions, and key mathematical terminology. Early introduction of Sets (Chapter 1) prepares students for the coverage of logic that follows. Early introduction of Logic (Chapter 2) presents the needed prerequisites to get into proofs as quickly as possible. Much of the chapter’s emphasis is on statements, implications, and an introduction to qualified statements. 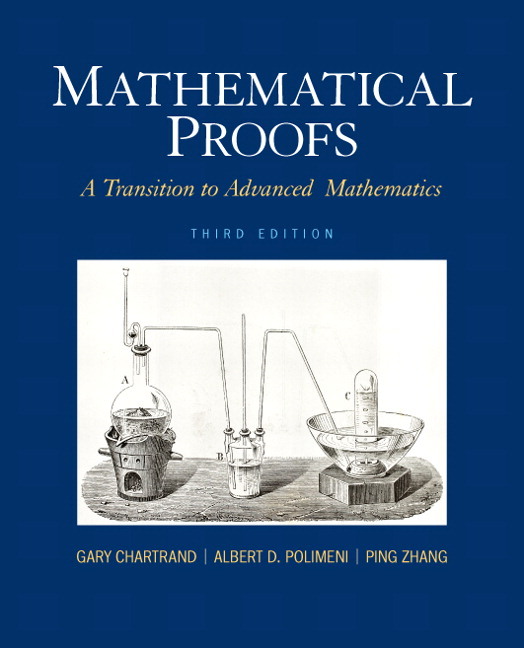 Proof by Contradiction receives an entire chapter, with sections covering counterexamples, existence proofs, and uniqueness. A wide variety of exercises is provided in the text. True/False exercises present statements and ask students to determine whether they are correct, asking for justification as part of the process. Proposed proofs of statements ask students if an argument is valid. 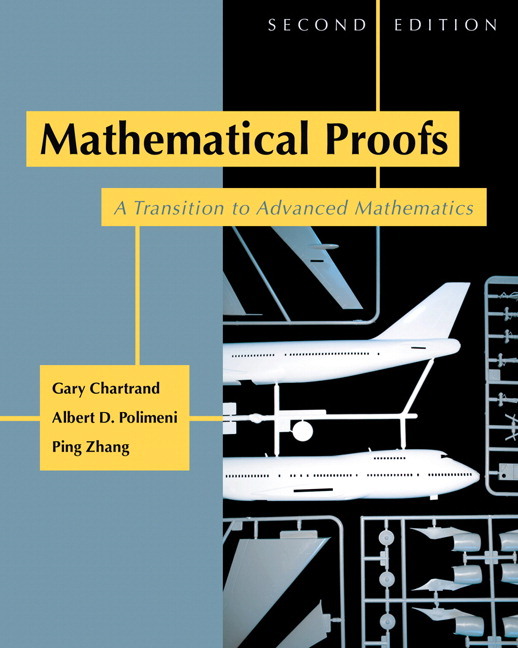 Proofs without a statement ask students to supply a statement of what has been proved. Finally, there are exercises that call upon students to ask questions of their own and to provide answers. New Exercises: More than 250 exercises have been added, including many challenging exercises at the end of exercise sets. New exercises include some dealing with making conjectures to give students practice with this important aspect of advanced mathematics. New and Revised Examples: Examples have been added and heavily revised with new proofs, adding support for the material to give students better understanding and helping them to solve new exercises. Additional sections: Chapter 13 has been expanded to include coverage of cosets and Lagrange’s theorem. The important topic of quantified statements is now introduced in Section 2.10 and reviewed in Section 7.2 in reinforce the student’s understanding.